The fate of most of the contents of Van Dyck’s studio in London after he died in 1641 at the young age of 42, including his preparatory studies on panel, remains a mystery. In the course of our researches into Van Dyck’s studio, we have unearthed a remarkable and strained relationship between two Flemish painters in London who both knew Van Dyck and made copies of his paintings. Archival research in the UK has revealed a previously-unknown family relationship between two members of Van Dyck’s artistic circle in London, the painters and art dealers George Geldorp (1590 – 1665) and Remigius van Leemput (1607 – 1675). George Geldorp, a close confidant of Van Dyck, was an Antwerp painter who moved to London and was the latter’s host on his first visit there in 1620. From around 1633 Remigius van Leemput was an assistant in Van Dyck’s studio in Blackfriars. 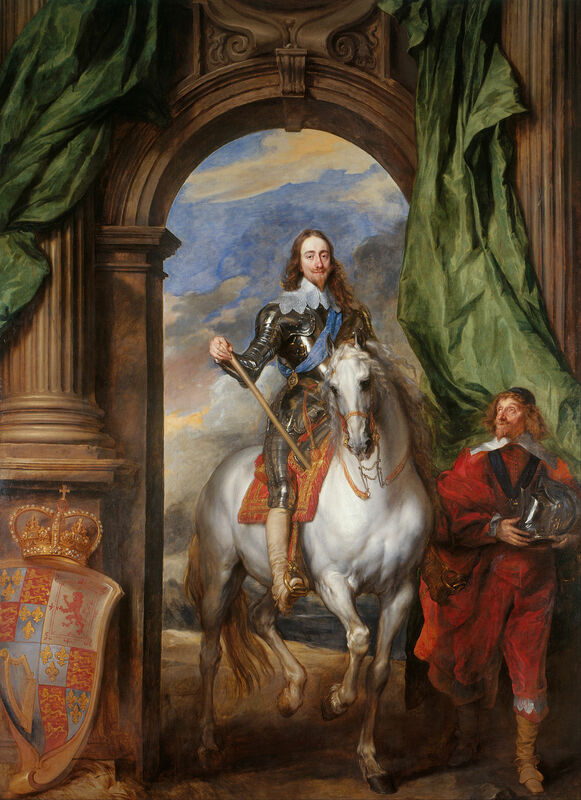 When the Royal Collection was sold after Charles I’s execution in 1649, Leemput bought Van Dyck’s huge Portrait of King Charles I with M. de St Antoine, which he tried and failed to sell in Antwerp. At the Restoration of Charles II in 1660, Geldorp was tasked by the King with reassembling the dispersed Royal Collection. Some new owners, Geldorp included, gave up their paintings willingly, but Leemput hung on to his Van Dyck until the Crown sued him for its return. It now transpires that there may have been Flemish family tensions surrounding the restitution. Geldorp alleges that his daughter Anna Maria and son-in-law Remigius have kept both the house and the money that he gave them to buy it. The archival bundle does not include the Court’s judgment, but the unusual difficulty in recovering Van Dyck’s famous portrait of Charles I for the King suggests that relations between father and son-in-law may not have improved by 1660. How to cite: Davies, Justin and Mulraine, James. “Flemish Family Strife and a Famous Van Dyck Portrait of Charles I.” In Jordaens Van Dyck Panel Paintings Project.